NEVADA COUNTY DEMOCRATIC CENTRAL COMMITTEE TRUTHS OR THE TRUTH? Apparently, we are immersed in worlds of truths and lies. How do we recognize which is which? This is a deep subject that has many possible paths and contexts of inquiry. “Everyone has his or her truth,” right? Or “it depends?” Depends on what? The comment, based on teachings of the skeptics’ “nothing is provable or knowable,” asserted and reasoned that “if all swans indeed were white” no science or scientist can prove it. It is because no one can ever see all swans. Hence, the proposition that “all swans are white” is unprovable and therefore not the truth. 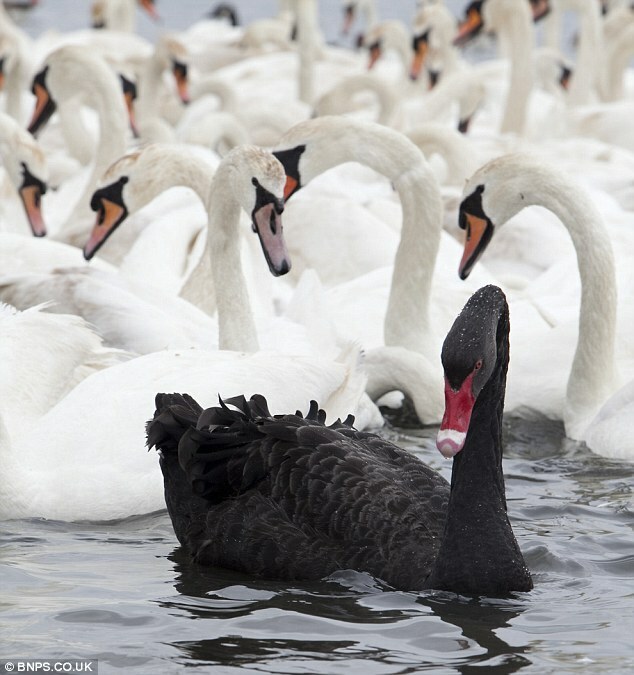 However, the comment correctly points out that evidence of one “not white” – perhaps black or grey swan negates the assertion “all swans are white” and therefore renders this statement not true. So, where are we (another example) – is “climate change” true or not? Is my statement (above) true or not? The very essence of communicating is a mutual transfer of meaning among communicating parties. This is crucial. It cannot be overemphasized. I suggest that a majority of “arguments” on the political scene are a result of not sharing, or even articulating, the meaning of what the issue at hand is all about. You may recall the term “government shutdown.” Does it mean the unwillingness of Democrats to negotiate or hardships of hundreds of thousands of people deprived of their paycheck? You could go down the line – what does it mean “Democrats,” what does it mean “negotiate,” and so on. Here is the fundamental law that applies to this: There is no way the whole spectrum of available meanings (“reality”) fits into any verbal expression. Back to science and the argument I started to write about. The “truth” of my statement clearly depends on the meaning ascribed to words “proof” and “truth.” The “proof” of anything, in strictly logical sense, can be argued as non-existing. Even the “exact” sciences. such as mathematics, derive their proofs from a set of accepted “self-evident” and not proved or otherwise provable assumptions. They are called axioms. By contrast, “empirical” sciences, such as physics, build their proofs on empirical – which is to say “experience based” – foundations. The logical components of such proofs are absence of exceptions (that would render them not true) and predictability of future outcomes. For the “truth,” there is a wide variety of schools of thought, from “there is no truth (or knowledge)” from skeptics to “everyone has his or her truth” from post-modernists (see en.m.wikipedia.org). Let me pick up one, relevant to my statement, the Coherence Theory. “Truth requires a proper fit of elements within a whole system. … Propositions in a coherent system lend mutual inferential support to each other.” I think this statement puts into perspective of truth the question of climate change. If you would happen to be a skeptic, please take note. The “truth” is inherently limited to a particular system. It is the Constructivist Theory that holds “truth is constructed by social processes, is historically and culturally specific, and that it is in part shaped through power struggles within a community.” We have ample demonstrations of this conception of truth around us. The “truths” of say communist ideologue will certainly differ from “truths” of proponent of democracy. Similarly, the truth of Newton’s classical physics laws of motion differs from Einstein’s laws within theory of relativity. Yet, they are all perfectly valid and accepted as true within their respective systems. Most people, based on the research (same source as above) stand behind “true statements correspond to actual state of affairs.” Yet, what is “the actual state of affairs?” How do we know it? To me, the key words are “evidence” and “critical mass – preponderance – of evidence.” This mirrors the methods and processes of evidence based empirical sciences. One final note. In a lot of occurrences “not-truths” (lies) arise from ignorance. Ignorance signifies “not-knowing.” Forbes, June 27, 2016: “No matter how smart we are, all of us are ignorant about the vast majority of the information out there.” Beware! Now, do we witness truths being constructed through power struggles? I say day in and day out. Just watch the news.